11 oz. white coffee mug in a gift box. Microwaveable. Hand wash for mugs is recommended. 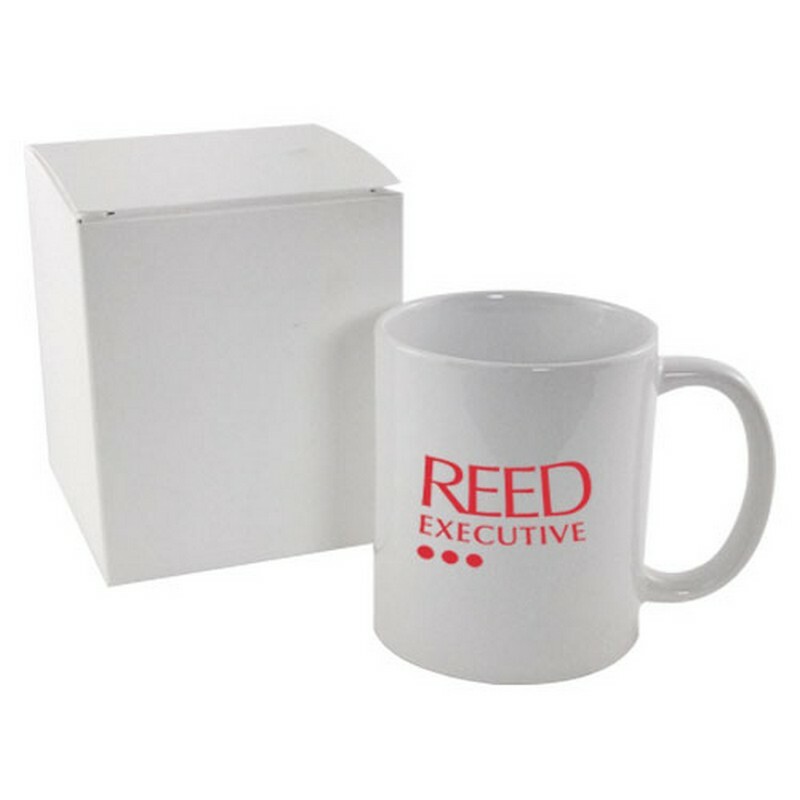 Imprinting Information: Mug: Silkscreen Set-up charge $50 per color/location; Additional color/location run charge $.30; Re-order set-up charge $30 per color/location (Run charges apply).